A living Fount, Fire, and Love. O strengthen us with Thy might. With tongues throughout ev’ry land. Thou Spirit of both, adored. Tr. Leonard Woolsey Bacon, alt. Source: Evangelical Lutheran Hymn-Book , 1918, No. 249, alt. Daß dein Geschöpf vorhin sein. 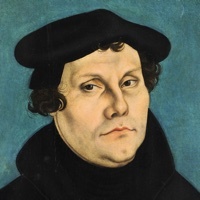 Luther’s translation of the old Latin hymn “Veni Creator Spiritus” first appeared in the Erfurt Enchiridion in 1524. The versions in The Lutheran Hymnal , 1941, No. 233, and the Lutheran Service Book , 2006, Nos. 498–499, “Come, Holy Ghost, Creator Blest,” are based on the earlier Latin text. For the Free Lutheran Chorale-Book, the version in the Evangelical Lutheran Hymn-Book , 1927, No. 249, which is an altered version of the translation from Luther’s German by Leonard Woolsey Bacon, has been used, slightly revised to bring it into closer conformity to Luther’s German. Both text and music may be freely used and reproduced for any purpose whatever, and are offered with the prayer that they may serve for the edification of Christian people everywhere.